In your browser, click on the LastPass extension icon in the toolbar and select Tools → Advanced Tools → Export To → LastPass CSV file in the menu. Enter your LastPass master password. If, at this point, LastPass opens a new tab in your browser containing your data, click here to jump directly to the second chapter of this article. 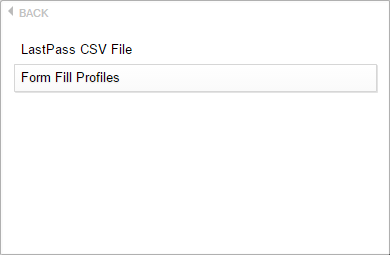 Otherwise, choose a location and file name for the CSV file that is being exported then click Save. Make sure you do not remove the .csv extension when changing the name of the file. 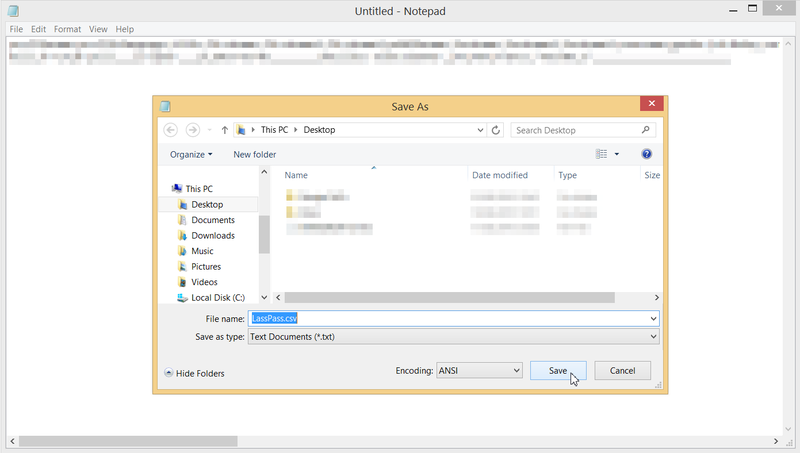 If needed, copy and paste the whole text to a text editor application then save the file with a .csv file extension. 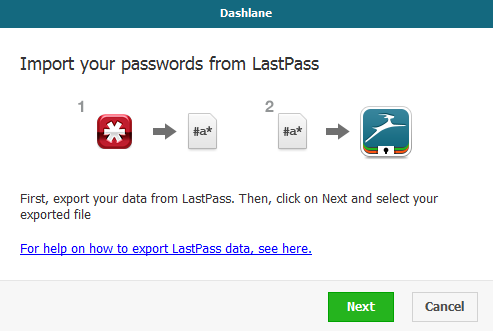 Now open the Dashlane application and select File → Import passwords → LastPass in the menu bar at the top of the window. Lastly, select your exported .csv file and click on Import. Then Dashlane will tell you how many passwords and other data (IDs, secure notes, credit cards, etc) have been successfully imported to Dashlane. Note that only your passwords will be in the Passwords section of Dashlane. Other items will be found in the other sections of Dashlane. For instance, credit cards will appear in the Payments section, and your notes will be in the Secure Notes section. Note: if Dashlane cannot place an item in one of the sections, then it will place if by default in the Secure Notes section. Please check this section if you are looking for some of your data. In your browser, click on the LastPass extension icon in the toolbar and select Tools → Advanced Tools → Export To → Form fill profiles in the menu. 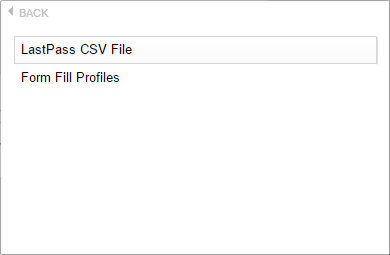 Now, choose a location and file name for the CSV file then click Save. Dashlane will now tell you how many form fill profiles it managed to import on this window. Click on Import. Please note that these form fill profiles may be detected by Dashlane as "other items", as shown on the screenshot below. That does not matter. You will then find your LastPass form filler profiles in the Personal Info section of Dashlane. Click here to learn more about the Contact section. 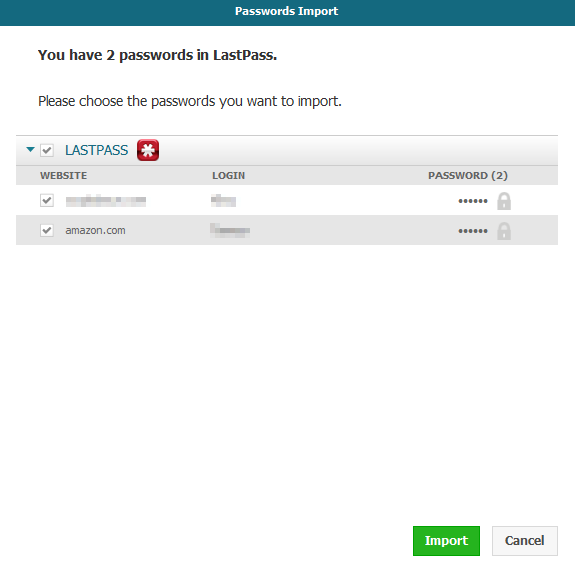 Important: After importing your data to Dashlane, do not forget to delete the two unsecured .csv files that were exported from LastPass! If it happens, select the whole content of the window, copy the data and paste it into a plain text file in your favorite text editor (for instance: NotePad on Windows, TextEdit on Mac OS X). Then save the document as a .csv file. You can do this by adding the .csv extension to the name of the file when saving it. For instance, if you want to name your file "PasswordsfromLastPass.txt", name it "PasswordsFromLastPass.csv" instead. 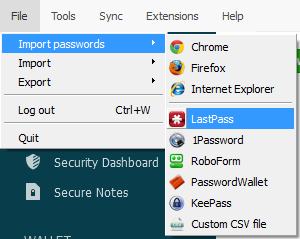 Open the Dashlane application and select File → Import passwords → LastPass in the menu at the top of the window. Select your .csv file and click on Import. Then Dashlane will tell you how many passwords and other data have been successfully imported to Dashlane. Note that only your passwords will be in the Passwords section of Dashlane. Other items will be found in the other sections of Dashlane. For instance, credit cards will appear in the Payments section, and your notes will be in the Secure Notes section. They might be labeled as "other items" by Dashlane when importing a form profile, for instance. Note: if Dashlane cannot place an item in one of the sections, then it will place it by default in the Secure Notes section. Please check this section if you are looking for some of your data. Important: After importing your data to Dashlane, do not forget to delete the unsecured .csv files! If you saved your passwords to LastPass without the URL (website address), these passwords will not be imported to Dashlane. or either add a URL for these password items manually to your .csv file so that Dashlane can import the passwords. Remove any "iterations=500;" that you may see written at the start of each row in your .csv file. Then save your .csv file and try to import it again. You might also want to try exporting your passwords in Firefox, as several of our users have reported problems using Chrome to export your data from LastPass.